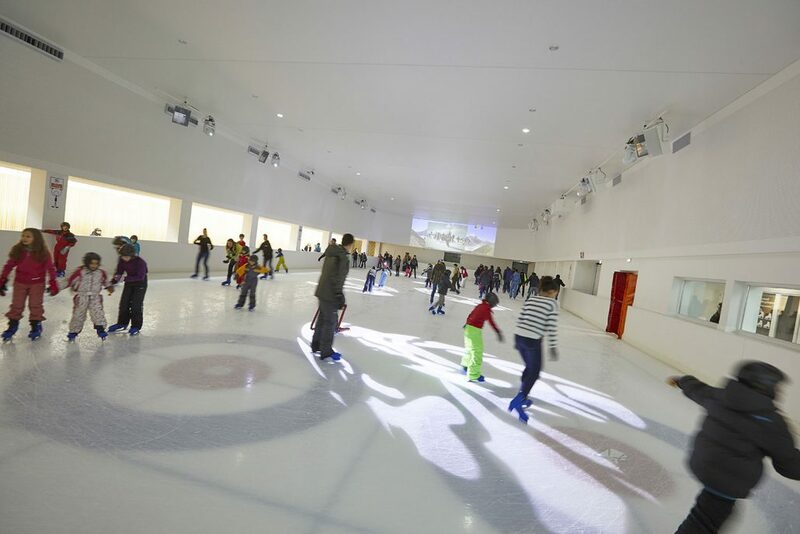 This page contains information on prices, opening times, access and services of the skating rink at the Espace des Mondes Polaires. Please note: gloves and socks are mandatory for all skaters. See all Prémanon skating rink prices: concession rates, prices for children, groups, families and students, passes and packages – all offered with great discounts! Whether for the school holidays, public holidays, low season or high season, find all opening times for the Espace des Mondes Polaires skating rink. Getting to the Prémanon skating rink: see information on how to get to the rink by car, train and bus, parking, etc. See information on the snack bar directly accessible from the rink, and private hire of the skating rink.